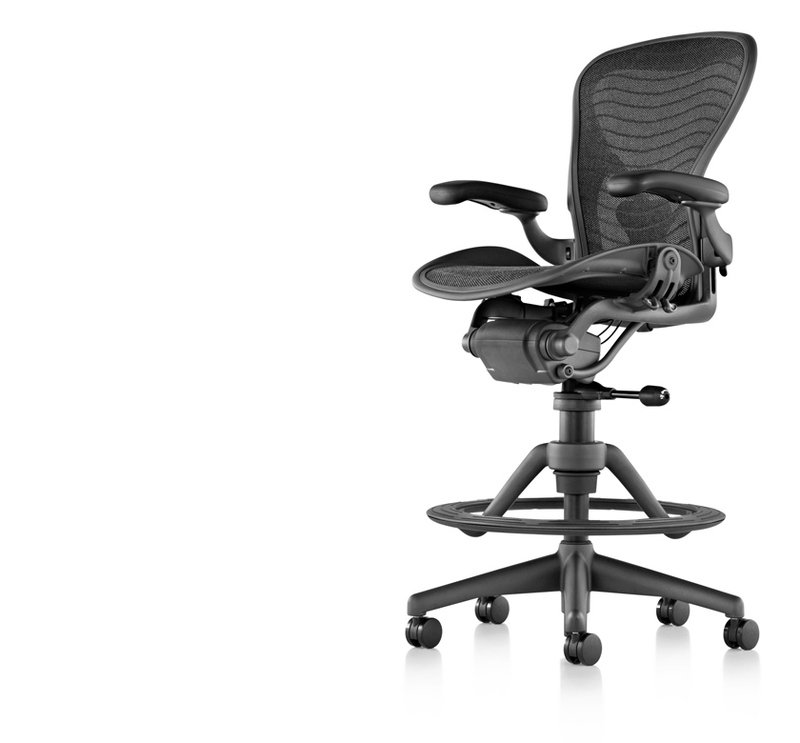 The Aeron stool is an extension of the award-winning Aeron chair design and adapts naturally to virtually every body. An extension of the award-winning Aeron chair design, this work stool shares the same distinctive looks and a well-designed ability to make you feel comfortable. 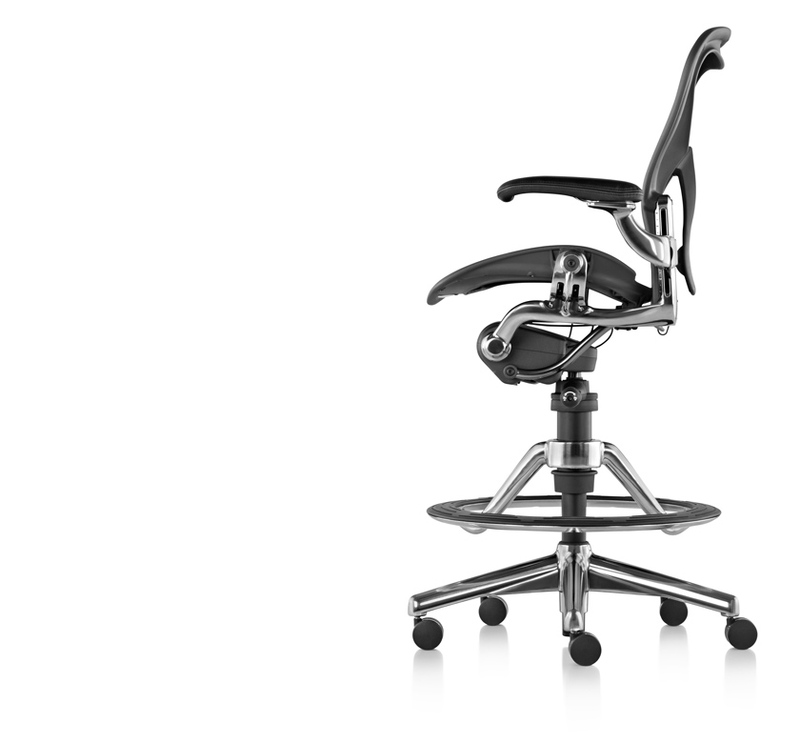 The Aeron stool provides healthy comfort and balanced body support with its innovative suspension and easy-to-use adjustment controls. Its Fine-Tune footring mechanism allows you to adjust the height of the footring from a seated position. Three Pellicle weaves in neutral colours and a range of finish options let you create the Aeron look you really want. 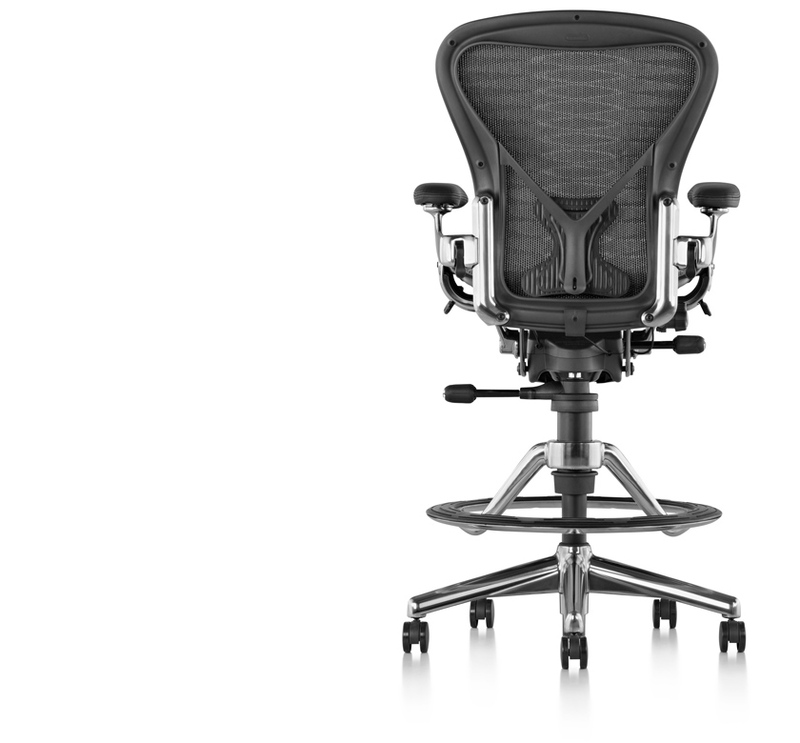 Designer Bill Stumpf tells you how the Aeron chair came to be.